If your company uses P-Cards to manage purchases, you're not alone. Many P-Card programs have been around for a long time. The concept of pre-approving expenses only from a particular category is not new. That means that many programs are behind because they don't get updated. These older P-Card programs are probably great at automating and improving cash flow. But, they probably fall short in several critical areas. These areas include controls and compliance, security, monitoring and controlling spend, and tracking receipts. 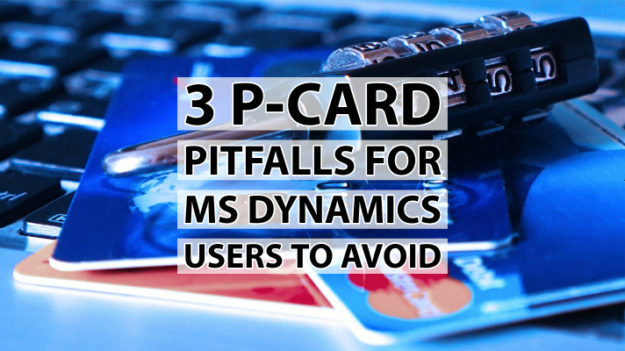 Here, we lay out the top 3 P-Card pitfalls for MS Dynamics users to take note of and avoid. Yes, that sounds like a mouthful. And it sounds like a mouthful because it's a complex requirement. Yet, this is still a requirement that many organizations fail to meet. Ultimately, process control sits with the reviewers. Policy and rule exceptions should be flagged in the validation step. This will allow approvers and process owners to focus their effort where it adds the most value. If you're not defining and maintaining your approval hierarchies, you're behind. The ideal P-Card program management tool comes with approval functionality that includes a separate audit module. In this audit module, query-based criteria can trigger special attention. This is true even after the invoice is paid and the expense is accounted for. You should also be reporting on these workflows regularly. A large set of standard reports includes comprehensive workflow and approval reports. These not only allow reporting against validation infractions, but also include reporting against the activity that takes place in the approval process itself. Audit logs ensure that all application activity is recorded. Then, process owners have full visibility of the end-to-end life cycle of a P-Card transaction. Procurement and Finance may have separate policies and compliance requirements that need to be enforced in the P-Card management system. These requirements potentially overlap, but they may have different functional “owners.” This is all to say that each set of policies require management & maintenance. As your policies and procedures change over time, you'll need to effectively date these and provides full visibility of the changes made: who made them and when. That's where an auditing function is crucial to any P-Card program management tool. The latest P-Card auditing tool uses Standard Optical Character Recognition (OCR) functionality to automate enforcement of policies in the application. Another nifty feature is integration with third-party services. These services might include denied party screening, and export, import, and financial trade compliance review providers. This makes the compliance process even more effective by removing costly and error-prone manual steps in the process control function. The tool you use for managing P-Card expenses is probably holding you back from realizing the full potential of your solution. Traditionally, P-Card expenses are managed on applications provided by the financial institution that issues the cards. Despite spend being distributed evenly between the two types of card programs, P-Card management is left short changed as T&E expense management has enjoyed enormous advances in feature & functionality over the past few years. P-Card and T&E reporting are similar but not the same; DATABASICS is unique in allowing you full feature functionality for both processes in the same system. Ensuring shared feature functionality gives you the option of running distinct processes in the same system. 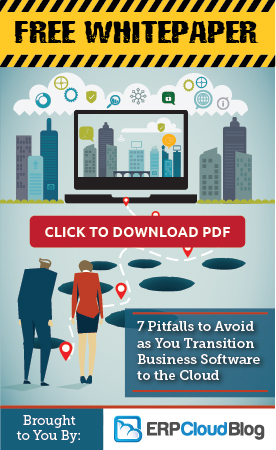 Separating ownership and responsibilities gives you flexibility, creates efficiencies of scale, and provides ROI. Leverage shared data sets like users, activities, and charts of accounts and create a business intelligence hub for expense information. DATABASICS offers a unique value proposition in the marketplace: flexibility, visibility, and control. See how DATABASICS helped one home healthcare organization improve their P-Card process. Why Automate Time & Expense Reporting in MS Dynamics SL? Microsoft Azure cloud offers ‘layered defense whenever possible;’ ideal for Dynamics software deployments.